This integration will allow you to connect with Google AdWords and start collecting your AdWords campaign data. It is a matter of minutes to send your advertisment data to feed your BI, your data warehouse, or your custom analytics stack. 2. In the new “Setup your Google AdWords source” screen click on Connect with Google AdWords. 3. If you’re not already logged into your Google AdWords account, you will be prompted to connect to your Google Account credentials. 4. 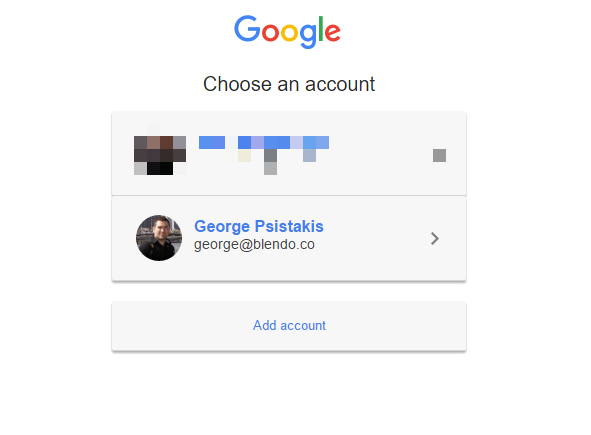 Login to your Google account. 5. In the next page you will need to add your Customer ID from Google AdWords. We will need the Customer ID from Google AdWords. 6. Login to your Google AdWords campaign management dashboard from a new tab. 7. The Customer ID is on your top right side. Select it and copy it. 8. 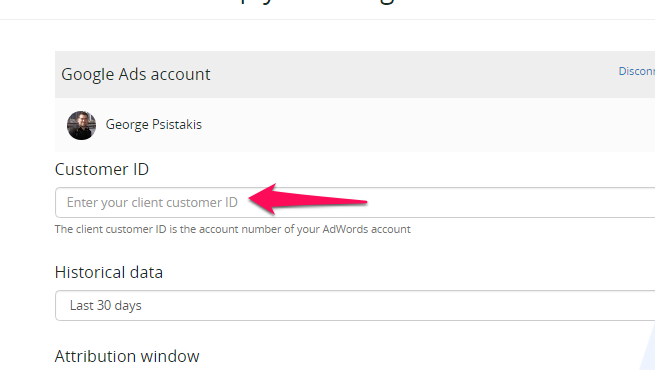 Paste the Customer ID into the relevant box provided in Blendo. Select the starting date for the historical data sync of your Google AdWords integration. Data which are newer than this date will be replicated to your data warehouse. 9. 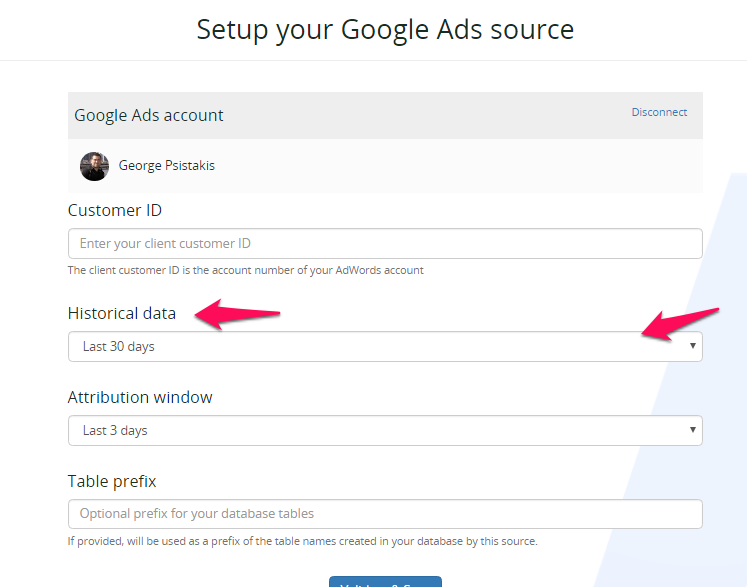 At the Historical Data drop down, select the time frame of the historical ads data to get. 10. 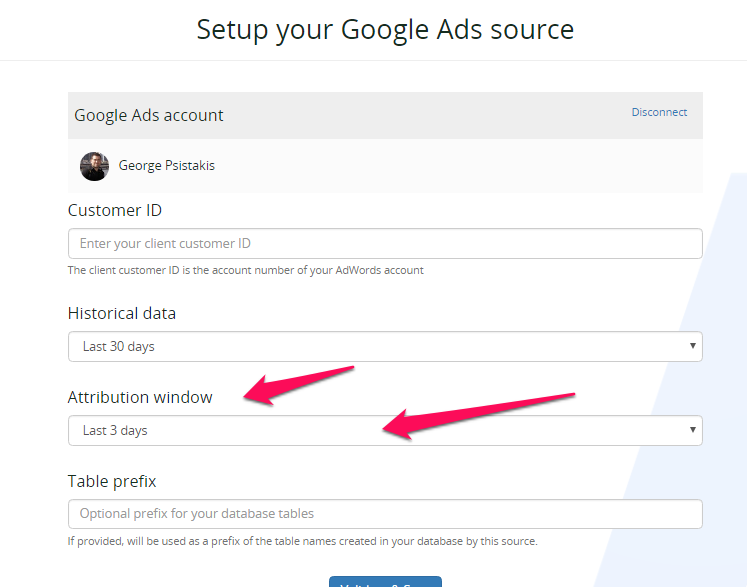 At the Attribution Window drop down, select the attribution window of your AdWords data. 11. Then you will return back to the home dashboard. Click on your new Google AdWords data source. 12. If you want to change the replication schedule go to the Schedule section and click on Reschedule. 13. In the next pop-up select one of the options available and click Apply. 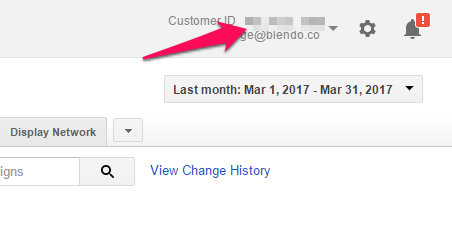 When Blendo first connects to Google AdWords Data source, will pull all your historical data. Blendo syncs Google AdWords data based on the schedule and frequency you choose. The default setting is every 1 hour but is configurable from inside the app. 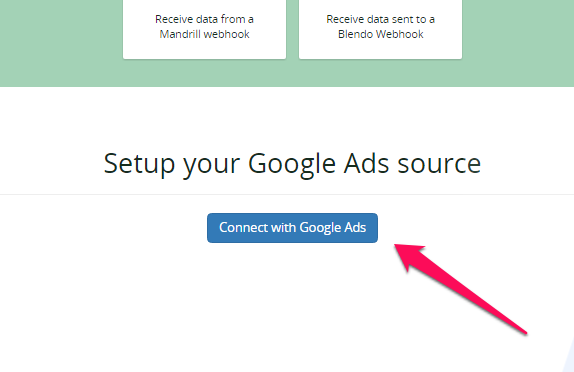 The first time Blendo syncs your Google AdWords data performs a full replication. Then your Google AdWords data is replicated incrementally. Meaning that Blendo will replicate only new and updated rows to your destination data warehouse. What Google AdWords data do I have available? Bellow are some of the tables with Google AdWords data that we create in your target data warehouse. Columns of this table include: Name, CampaignName, labels, BaseCampaignId. 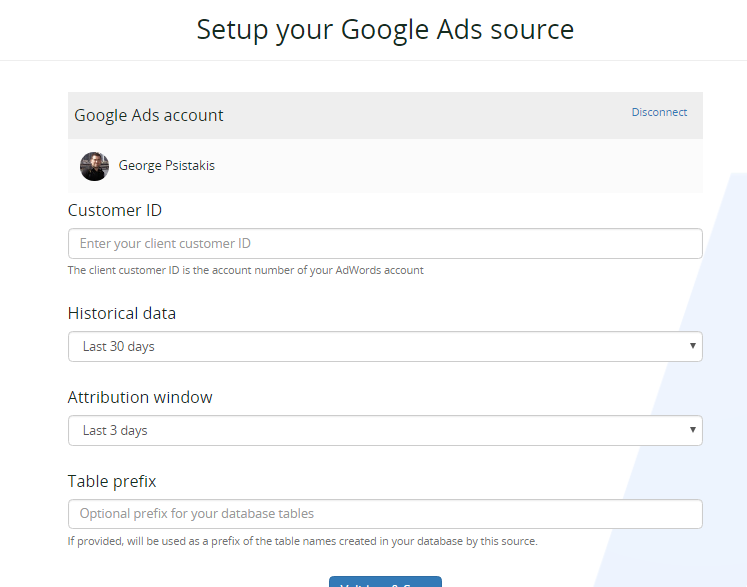 The table contains information about the Campaigns for your Google AdWords account. Columns of this table include: name, startDate, frequencyCap. This table contains information about your Google AdWords Click Performance Reports. Columns of this table include: AccountDescriptiveName, AdGroupStatus, CampaignId, Clicks, ClickType. This table contains information about your Google AdWords Keywords Performance Reports. Columns of this table include: ActiveViewImpressions, AverageCost, AverageCpc, CampaignName, KeywordMatchType. This table contains information about your Google AdWords Placement Performance Reports. Columns of this table include: AverageCpc, AdGroupStatus, Clicks, Device, Ctr.